What is Heart Month? 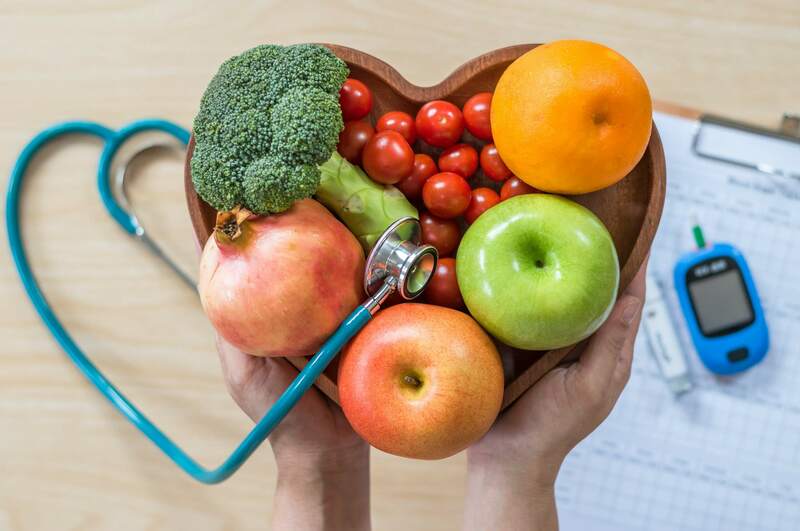 It’s the month (February) that physicians all over the world want you to think about your health, and focus on how you can live your healthiest life. Did you know that your heart beats about 100,000 times in one day? And about 35 million times in a year? During an average lifetime, the human heart will beat more than 2.5 billion times. Our hearts are working hard for us, all day every day. This organ deserves a month of celebration. During Heart Month 2019, I’ve created a 7-day plant-based challenge, complete with advice, recipes, fitness, and mindfulness support. The challenge starts on February 18, and sign-ups are open now. Throughout the challenge, we want to share information about heart health. The truth is, we need to bring awareness to how devastating heart disease truly is. And the fact that we can prevent it, means that our generation can work together to change these statistics. • Heart Disease (including Coronary Heart Disease, Hypertension, and Stroke) remains to be the No. 1 cause of death in the US. • About 2,200 Americans die of cardiovascular disease each day, an average of one death every 40 seconds. • Cardiovascular disease, accounts for nearly one of every three deaths in the US. • Someone in the US has a stroke about once every 40 seconds. •Cardiovascular disease kills approximately one woman every 80 seconds. •90 percent of women have one or more risk factors for heart disease or stroke. • Women have a higher lifetime risk of stroke than men. •Fewer women than men survive their first heart attack. What is the plant-based challenge and what for? I’ve created a plant-based heart month challenge, to bring together some of the most brilliant minds in plant based nutrition, fitness, and mental health, to make this a COMPLETE full body, mind and soul challenge. I’ve partnered with my friends and fellow physicians: Dr. Michelle McMacken, Dr. Mauricio Gonzalez, Dr. Rob Ostfeld, Dr. Joel Kahn, and Dr. Angie Sadeghi – to bring you the best plant based challenge for HEART MONTH, starting February 18. During this challenge you’re going to get encouragement and coaching from not just me, – but from five of your favorite plant based doctors. Throughout the week they will be supporting you, cheering you on. They will be posting motivational and educational content to keep us all going through the challenge. Make sure to follow the challenge #plantbasedheartmonth to connect with everyone in the community. Forks Over Knives has volunteered to provide two weeks free of its incredible, heart healthy, 100 percent plant-based meal planner. The meal planner gives you options to help you create grocery lists, it makes cooking so easy, with endless plant based recipes to choose from, and it’s great for everyone. Whether you’re cooking for one or a family of five, whether you have barely any time to cook (they have meal prep covered) or you enjoy cooking all day, it’s literally for everyone and anyone. And it’s important for me to mention that none of us are financially involved with Forks. We are all doing this out of the goodness of our hearts, because we are physicians, and when we took the Hippocratic Oath our first day of medical school, we promised to do our best for human kind. In addition to healthy eating, you’re going to get to enjoy some free work out guidance from fitness professionals Bianca Taylor and Nimai Delgado. They are truly brilliant and inspirational. And they are of course 100 percent fueled by plants. Many of you asked: can exercise actually decrease your heart disease risk? Only 1/3 of Americans know that someone with heart disease needs to exercise the same amount as someone without any cardiac problems. Some studies have shown about a 50 percent reduction for developing heart disease in those who exercise. Getting regular exercise not only reduces a person’s risk of heart disease, it can increase the chance of survival if a heart attack does happen. Even just ONE single workout episode can provide cardioprotection for two–three hours, and even stronger and longer-lasting benefits emerge 24 hours after the exercise session has finished. For individuals who have heart disease – if they’ve had bypass surgery, a stent, a heart attack – there’s a 30 to 50 percent reduction in the risk of death compared to those who don’t get involved in a cardiac rehab program. So what level of exercise has been shown in studies to provide cardiovascular benefit? Aim for a minimum of 150 minutes of physical activity per week. That’s 30 minutes, 5 x a week. Greater improvements in fitness are obtained with more intense interval training. A significant amount of research emphasizes the importance of cardiorespiratory or aerobic fitness, but muscular fitness and muscular strength from resistance training is also very important, just ask @nimaidelgado and @biancataylorstorm. Core strength and balance are too. So enjoy every moment that you’re exercising! It’s one of my favorite things to do on this beautiful earth. The simple answer, is yes, we think so. More research is needed to determine how stress contributes to heart disease – the leading killer of Americans. But stress may affect behaviors and factors that increase heart disease risk: high blood pressure and cholesterol levels, smoking, physical inactivity and overeating. Even on the cellular level: studies have shown that depressive symptoms are associated with more inflammation, heart strain, and endothelial dysfunction after a heart attack, whereas positive psychological constructs were linked to better endothelial function. And chronic stress can accelerate plaque instability by promoting apoptosis and neovascularization. Another study evaluated patients after a heart attack, and found that increased optimism was associated with superior physical activity and fewer cardiac readmissions. There is increasing evidence that positive psychological constructs like happiness, optimism and gratitude are independently and prospectively linked to better health behaviors and superior cardiac prognosis in people with and without heart disease. Take time out of your day to take care of not only your physical health, but your emotional health as well. You deserve self care. Try practicing mindfulness, meditation, daily thoughts of gratitude and appreciation. Smile. Find outlets to channel your stress such as exercise, talking to a friend. Find someone that makes you laugh, and laugh. Laugh a lot. Tara will be a great guide for you to incorporate this into your week of the challenge! Last time we did the challenge – so many wonderful people joined with all different nutritional experiences and backgrounds: from omnivores, to recent Ketos, ex-paleos to completely plant based gurus! One of the best things about this experience, is the community of doing this TOGETHER. Community is everything. Join the challenge. Ask your coworkers. Ask your neighbors. Sign up your family. And lets all do this together!